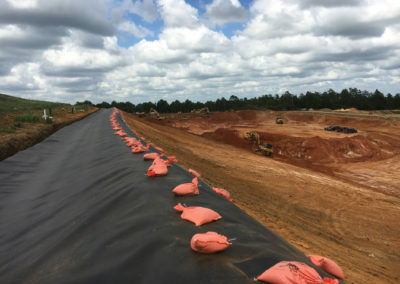 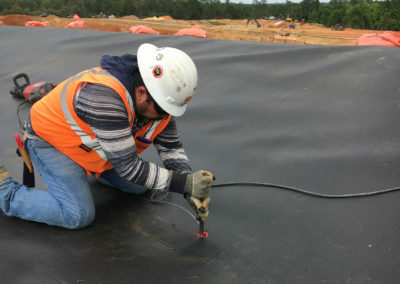 Engineers were expanding the Perdido Landfill in Florida’s Escambia County to add a new cell adjacent to an existing cell, eventually connecting the two. 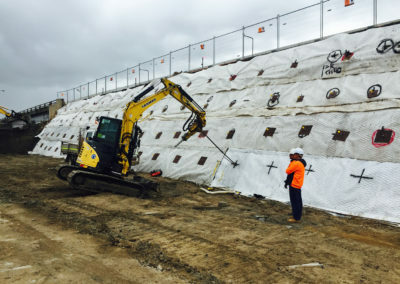 They were challenged with designing a temporary V-ditch between the cells while the new cell was being excavated. 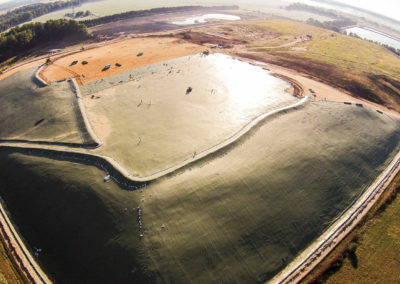 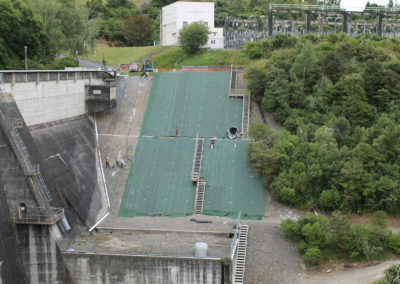 The function of the temporary 3,000′ long ditch was to collect and convey stormwater from the existing nearly closed cell to the facility’s detention ponds. 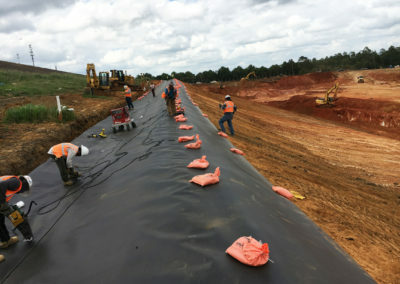 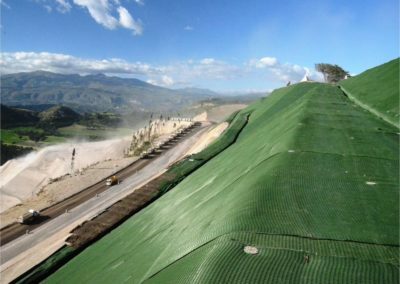 The proposed design included a 60mil textured HDPE exposed liner secured with the Platipus S2 ARGS® Geomembrane Liner Anchor to protect the temporary stormwater structure. 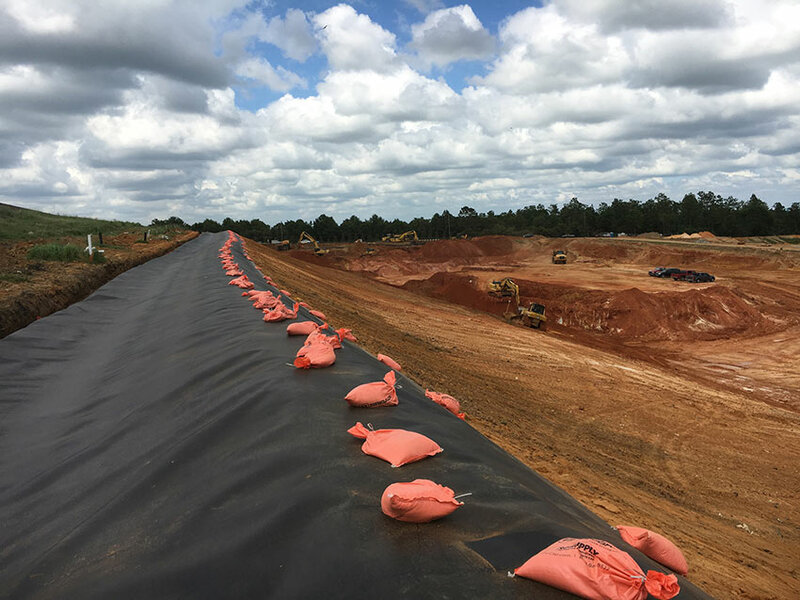 Wind and hydraulic uplift calculations mandated 2′ deep longitudinal anchor trenches along the edges of the 16′ wide V-ditch. 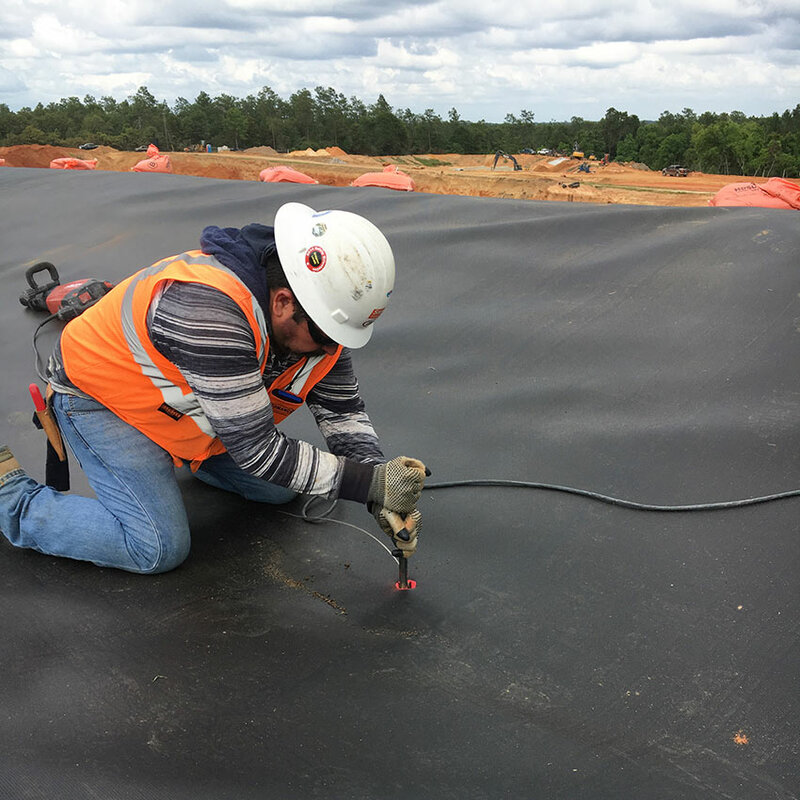 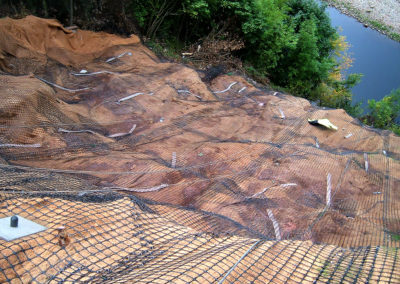 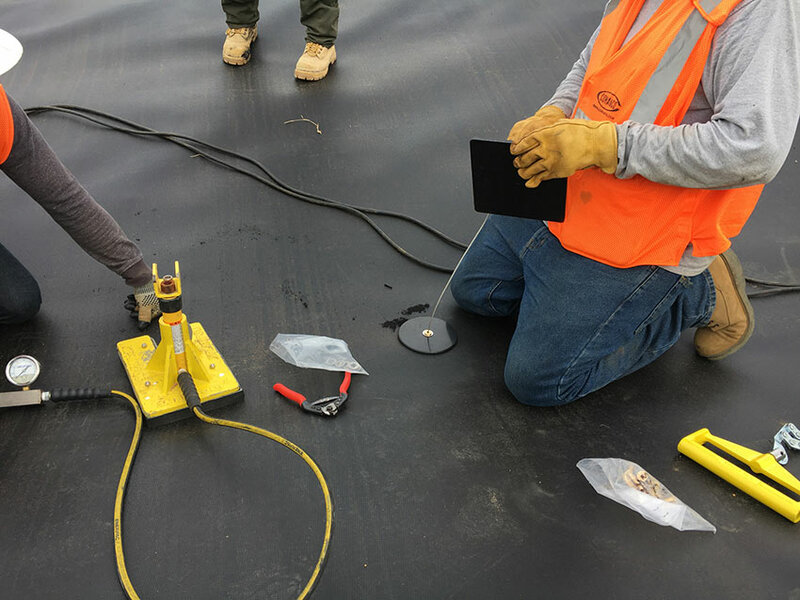 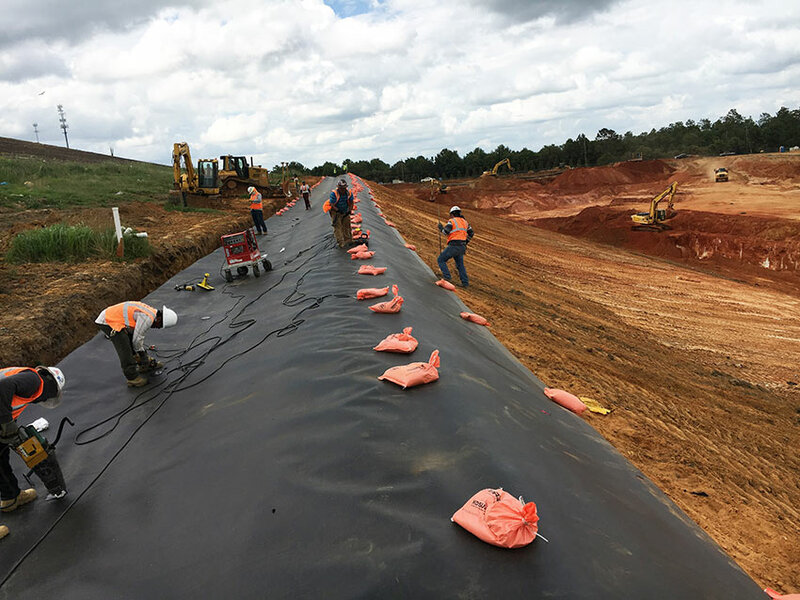 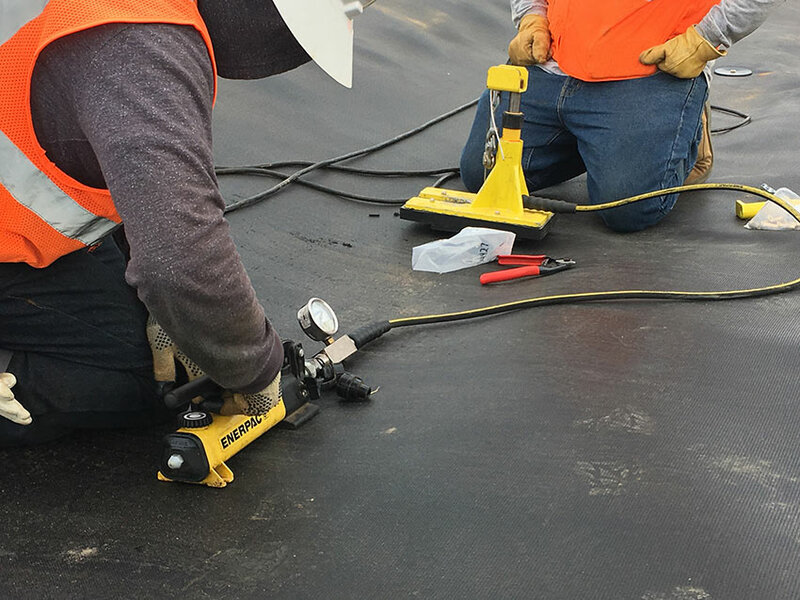 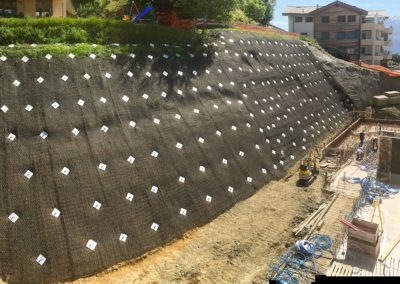 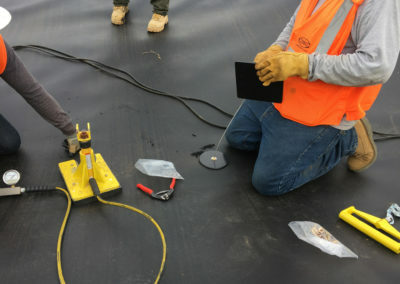 The S2 ARGS® Geomembrane Liner Anchors were installed and load locked at a minimum depth of 24” on 10′ centers down the centerline of the V-ditch and tensioned to 200 lbs. 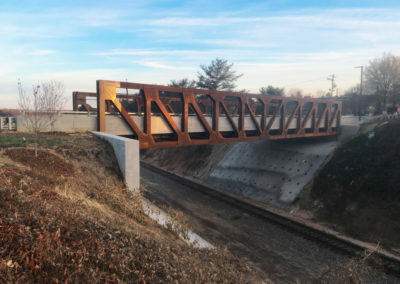 The specified anchor assemblies included a Grade 316 stainless wire tendon, UV-stabilized HDPE load plate extrusion welded to the HDPE liner, and a corrosion resistant brass self-setting wedge grip.